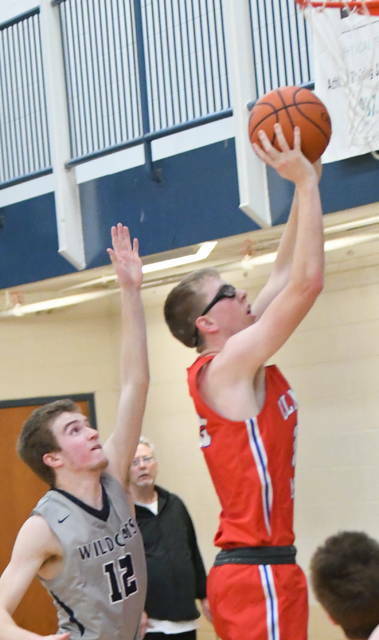 Blanchester’s Hunter Bare (right) goes up for two against Clinton-Massie’s Thomas Myers Tuesday night at the BHS gym. BLANCHESTER — Blanchester and Clinton-Massie spent the fourth quarter Tuesday night trading proverbial haymakers, each team looking for the final push across the finish line. 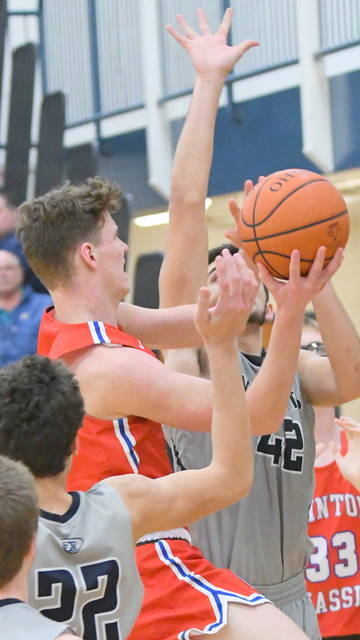 Thomas Myers gave the Falcons that final push, scoring 11 of his 21 in the fourth as Clinton-Massie defeated Blanchester 54-48. Myers gave the Falcons a 46-43 lead with 3:02 remaining. Brayden Sipple knocked down a three from NBA range to tie the game at 46 with 2:46 left. The Wildcat faithful erupted. Blanchester fans were silenced just seconds later as Zach Chowning hit his fourth three-point field goal of the game to give Massie a lead it would not relinquish. Massie’s lead was 51-48 with 1:29 left. After two Falcon misses, Myers got the second offensive rebound of the possession and scored with 50 seconds remaining. 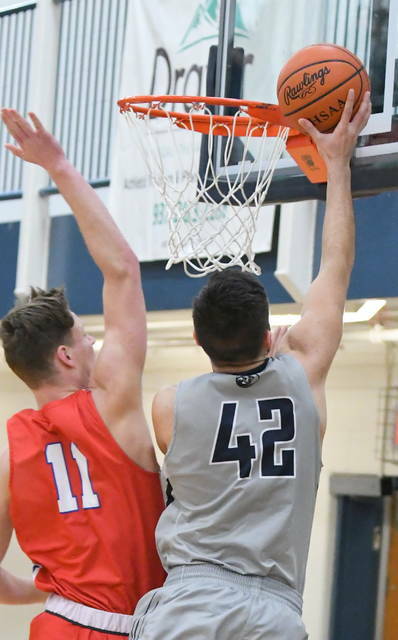 For Blanchester, the Wildcats got early momentum thanks to big dunks by Jacksson Waialae and Hunter Bare. 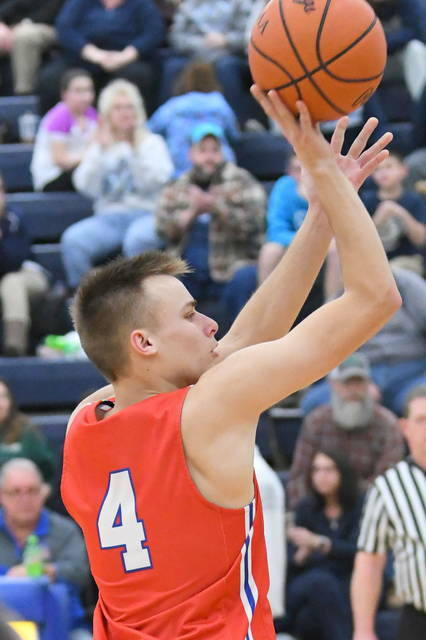 Sipple scored 10 of his team-high 18 points in the third as Blanchester surged to a 34-27 lead with 3:31 left in the quarter. However, Clinton-Massie outscored Blanchester 8-1 to end the third. In the fourth quarter, the Falcons were able to hold Sipple to just the three points that tied the game with 2:46 remaining. However, coming off a disappointing loss at Williamsburg, it was exactly the effort BHS head coach Adam Weber wanted to see. Over the final 3:43 of the game, Myers scored 17 of Clinton-Massie’s 29 points. Weber was pleased with the effort of his defense but said little things were the difference at the end. Three Falcon players scored in double figures. In addition to Myers’ 21, Zach Chowning added 12 and Griffin Laake had 11. 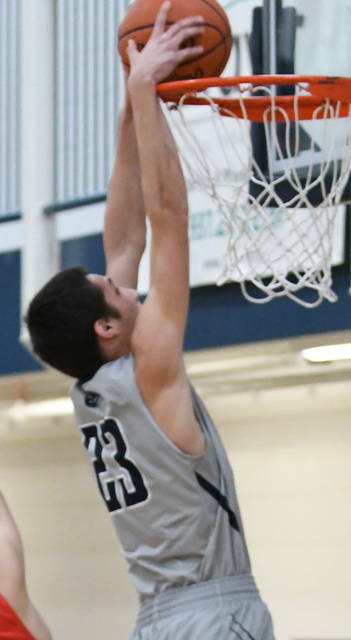 While Blanchester outrebounded Clinton-Massie 37-35, the Falcons had seven more offensive rebounds (21-14). Sipple added six rebounds to go with his 18 points. Bare added 10 points and nine rebounds. Waialae had six points and 12 rebounds. 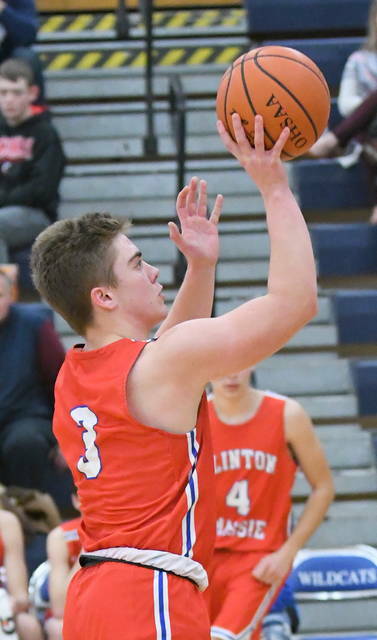 (54) CLINTON-MASSIE (fg-3fg-ft-tp) Daulton Wolfe 1-0-0-2, Brendan Lamb 1-0-0-2, Zach Chowning 4-4-0-12, Austin Faucett 0-0-1-1, Thomas Myers 7-0-7-21, Griffin Laake 4-1-2-11, Drew Settlemyre 2-0-1-5. TOTALS 19-5-11-54. 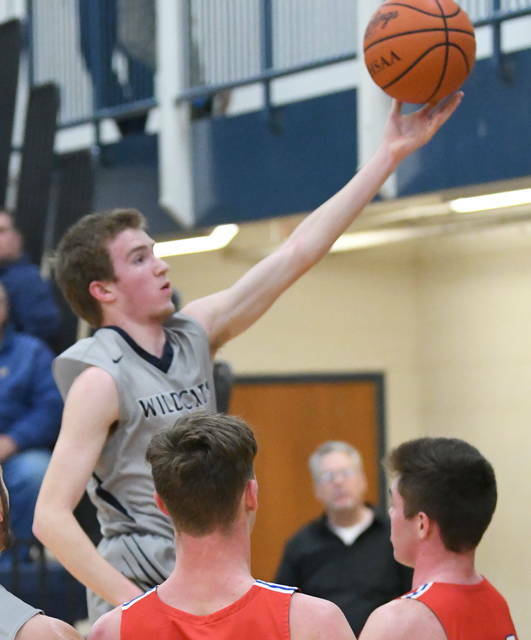 (48) BLANCHESTER (fg-3fg-ft-tp) Ian Heeg 1-0-0-2, Tanner Creager 2-1-4-9, Brayden Sipple 5-2-6-18, Jacksson Waialae 2-0-2-6, Jay Ashcraft 1-0-1-3, Hunter Bare 4-0-2-10. TOTALS 15-3-15-48.